Last October 2010, the documentary world was devastated to lose fellow documentarian Gail Dolgin. Activist, mother, “sister”, beloved friend, mentor, collaborator and comrade to many, and a deep believer in the power of non-fiction to be as riveting as it is strange. She courageously and artfully battled breast cancer for over a decade, all the while working in collaboration with her filmmaking partner Vincente Franco and/or as a creative consulting producer to many filmmakers in the Bay Area. 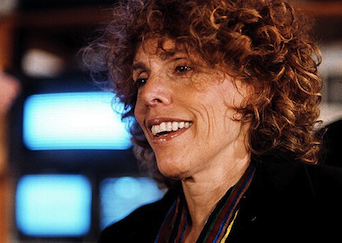 Best known for her Academy Award nominated film DAUGHTER FROM DANANG (winner of a 2002 Sundance Grand Jury prize), Dolgin’s illustrious career encompassed compassionate socially-conscious docs including SUMMER OF LOVE, CUBA VA and most recently THE BARBER OF BIRMINGHAM: Foot Soldier of the Civil Rights Movement. Co-Directed and Produced with Robin Fryday it had it’s world premiere at the 2011 Sundance Film Festival [just three months after Gail passed away] and has gone on to win three “Best Documentary Short” awards.